I enjoy a little April Foolery now and then – see Google.com at the moment. But I had a funny revelation about some of the April Fools’ jokes out there today: they could be real. Some even already are. For starters, consider the EyeDJ. The video is hilarious, a spot-on parody of the hype level in digital DJing at the moment. And they tune directly into the kind of breathless sense of innovation with no real purpose, with lines like “There is no need to cart around heavy turntables or expensive MIDI controllers – all you need is a computer and a webcam and you’re ready to mix with the best.” It taps directly into the reinvent-the-wheel zeitgeist in which we sometimes find ourselves and, yes, which to which I’ll admit I sometimes (often?) contribute. It’s clear the technology could have musical applications, too. None of us knows what our physical capabilities will be tomorrow, or next week. It’s time to start thinking about different interactions, and different humans. Compose Xenakis worked with architect Le Corbusier’s Modulor, a design unit that related the Golden Ratio and the human body. I’m a fan of both thinkers, but the problem with the Modulor is that it assumes there’s an “ideal” human proportion. In fact, we’re all different. Don’t get me wrong – and I hope I didn’t make the EyeDJ guys feel insensitive. In fact, far from it: sometimes it’s the kind of apparently-absurd thinking you get from humor or parody that can free you from the constraints of everyday thinking. They may have gotten a bit overexcited, as well, as they posted it with a dateline of March 31. 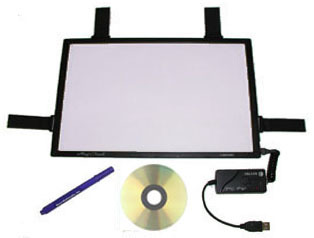 A kit you can buy that converts existing laptops to touchscreens? Sign me up! In fact, it’s been done. 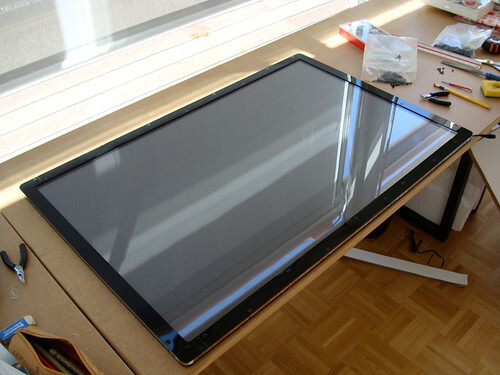 Touchscreens.com is one of a number of vendors. Nicely enough, you can spend a small amount of pocket change and convert even a PowerPC-based Mac. It’s single touch only, but it’s not too expensive, and you even get true stylus input, something the iPad doesn’t do. Photo (CC-BY-NC-ND) TouchKit project co-creator Addie Wagenknecht. On the multi-touch front, research and artist group NOR_/D has their own kits, called, nicely enough, TouchKit. I’ve been working to get in touch with that crew to talk more about it. They’ll set you back ($1500, $2500 is the ballpark), but, again, truth is stranger than fiction. 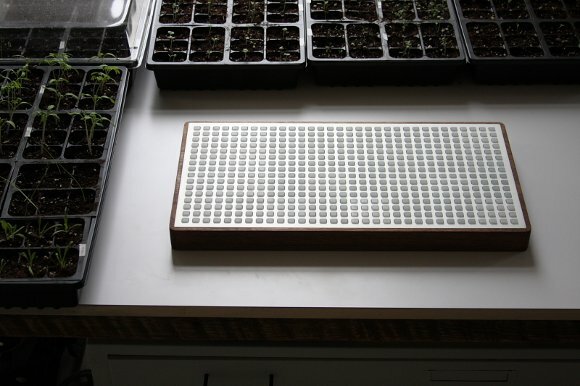 Generally, I love the idea of DIY touch and gestural input kits – let’s make them. But the idea is sort of interesting, seen abstractly: tune incoming audio, then manipulate it. There’s a Pd patch in here somewhere. Go make it. 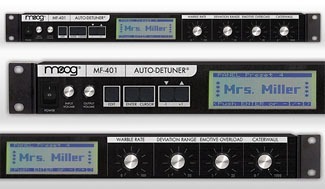 Also, I briefly thought Moog was making some sort of vocal processor, which would also have been cool. James also has my favorite April Fools’ joke of the year. Catch it while you can. It is very, very pretty. Time to start scratching off lotto tickets.